Presenting this beautifully custom designed & truly stunning Residence at Sandpearl to the most exclusive buyer looking for their one-of-a-kind distinct beachfront oasis on Clearwater Beach. This bright & light corner unit with 3 bedrooms 2 ½ bathrooms offers 2181 sq. ft. of luxury with the finest designer finishes exquisite artistry & spectacular Southwest views of the Gulf of Mexico. An open living and dining room layout with many special & unique upgrades specific only to this residence offers floor-to-ceiling sliding glass doors in the living room kitchen and the master suite all opening to a serene balcony. The balcony overlooks the beautiful lushly landscaped pool area and provides fabulous beach ocean & city views. Spacious gourmet kitchen offers top of the line appliances & breakfast area. The bedrooms are arranged in a split plan with gallery halls to provide privacy for you and your guests. 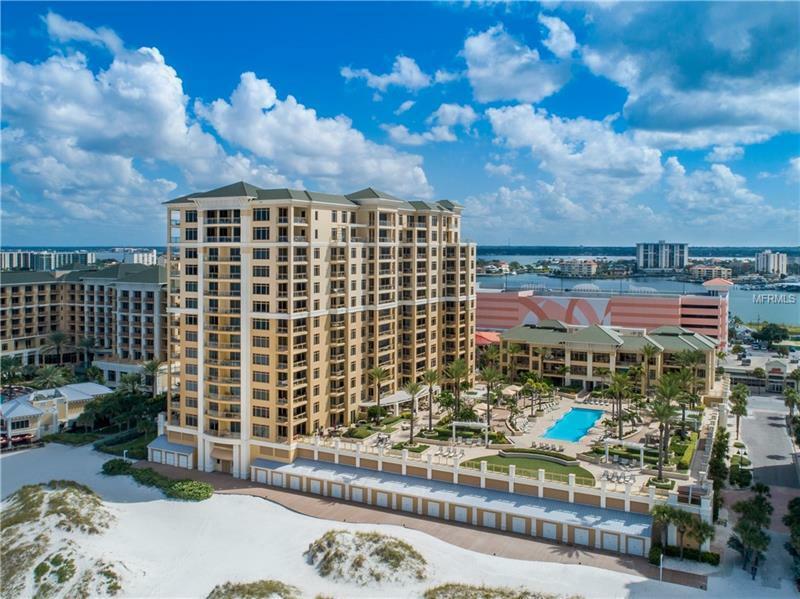 Located directly on the white sandy Clearwater Beach The Residence at Sandpearl Resort is an exquisite upscale Gulf front gated community and one of the most desirable residences on the beach. Enjoy the world class amenities including heated pool & spa elegant clubhouse state of the art fitness center and adjacent to Sandpearl Resort & Spa. Great location & a short walk to Pier 60 water activities the Marina shopping fine dining and short drive to two international airports. ENJOY RESORT STYLE LIVING AT ITS VERY BEST! Pet Restrictions: 2 pets with combined weight of 80 lbs.